In the 17th century, there was the first processing of pigs in Calabria. 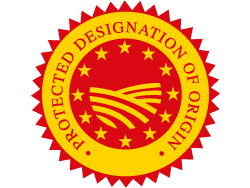 Nowadays, Capocollo of Calabria PDO is obtained from the processing of pigs born in Calabria or coming from the regions of Basilicata, Sicily, Apulia, and Campania, provided that by the 4th month they are moved to Calabria, and then slaughtered in the same territory. The process must take place in the traditional production area characterized by the South of Italy atmospheric conditions. 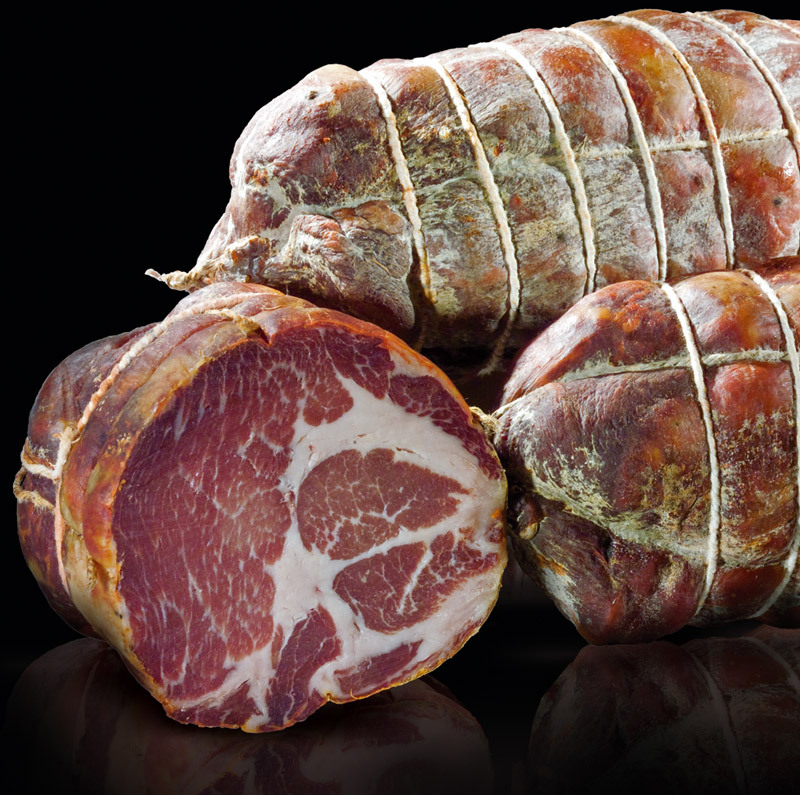 Capocollo di Calabria PDO is obtained from the top of loin meats, deboned and traditionally salted or brined. In cold conditions, the weight of the Capocollo is between 3.5 and 5.5 kg. The salting process lasts from 4 to 10 days; after that, the producers wash it using water and vinegar and then they make “massage” and “pressing” operations. Later on, they add black grain pepper. Following it is wrapped up using the pork casing tied with natural string. Later, Capocollo hangs to drip into ventilated cellars. Maturation takes place in controlled temperature and humidity cellars, with slow maturation. The cut is vivid rosy color with fat streaks. The taste is intense in the lean parts and delicate in the fat parts of the meat. Capocollo di Calabria PDO is a starter or a snack and eaten with the traditional local bread with natural yeast, cooked in the wood oven. In the past, the Capocollo was considered one of the most exquisite pieces derived from the slaughter of the pig. The workers often used the Capocollo for breakfasts during harvesting and grape harvest.